Hey San Francisco: Join Axios' Ina Fried this morning at 8:30 for a conversation on San Francisco's housing crisis and innovative solutions. Info and RSVP here. Venture capitalist Josh Kushner is the subject of a NY Times piece this morning, suggesting possible conflicts of interest related to his business dealings with the Saudi Arabian government. Specifically, it notes how he attended the 2017 "Davos in the Desert" conference just hours before his brother, White House senior advisor Jared Kushner, quietly arrived to meet with Saudi Crown Prince Mohammed bin Salman. 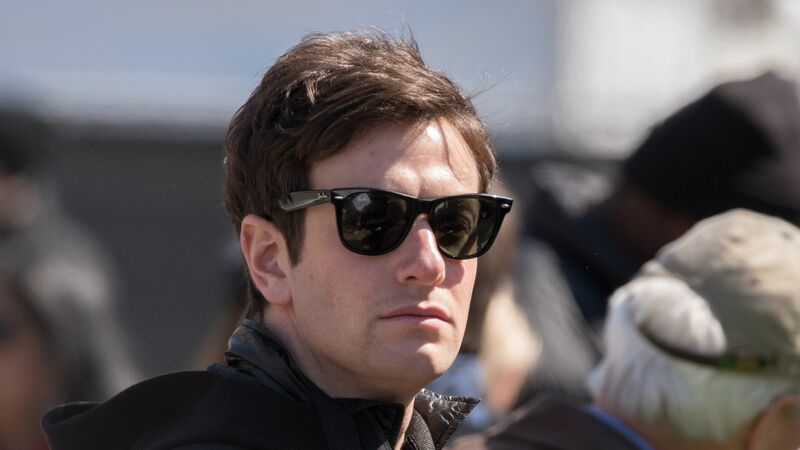 Josh Kushner was one of around 3,500 attendees at the conference, including a reporter for the NY Times (which was an event sponsor). Kushner, via a spokesman, says that he and a NYT reporter spoke on multiple occasions in Riyadh, but that the interactions weren't viewed as newsworthy at the time, even though Jared was already running Middle East policy for the Trump administration. Josh Kushner's venture capital firm, Thrive Capital, counted Saudis among its limited partners prior to the 2016 election (not via the Public Investment Fund). We've learned that it still does, although Thrive says it stopped taking on new foreign LPs after Trump won. It was investing out of a $700 million fifth flagship fund in 2017, and subsequently raised $1 billion for Fund VI and another $600 million for its first growth fund. Kushner, a noted Democrat who made a last-minute contribution to Beto O'Rourke's race against Ted Cruz, was invited to the 2018 Riyadh confab, but did not attend. Yes, where there are Kushners there can be endemic conflicts. This just doesn't read like one. Josh has been clear and consistent with regards to his political beliefs and stance on the administration. Despite his clear articulation of this difference of opinion, Thrive has taken great pains to avoid even the appearance of conflict, and, as we told the Times, after the 2016 election the firm stopped taking investment from any new foreign limited partners with potential business before the administration. We did this not because we had to, and not because anyone asked us to - we did it proactively because we thought it was the right thing to do." 🐷 Salty: Evans Food Group, a Chicago-based pork rinds maker owned by Wind Point Partners, this morning announced the purchase of Georgia-based rival Turkey Creek. Pork rinds have gone full Brooklyn of late, following meat jerky out of the gas station stores and into high-end groceries. They even got their own Wall Street Journal profile: "The fatty rinds appeal to snackers looking to lower carbs and increase protein in their diets." The Evans and Turkey Hill merger is designed to strengthen the lower-priced, traditional pork rinds market. I don't know if Warren Buffett eats pork rinds or cracklins but, if he does, these would probably be his brands. 💰 In January we discussed Elizabeth Warren's "wealth tax" proposal, and included some comment from left-leaning economist Greg Leiserson. This morning Leiserson is out with a more detailed primer on how such a surcharge would actually work, plus a set of charts detailing American wealth disparities. 🎧 Pro Rata Podcast: Our new episode digs into Fed Chair Jay Powell, and why he's become much more public and much more political. Listen here. Why it's the BFD: Because this comes less than five months after a Lion Air flight crashed, killing all 189 people aboard and sparking the investigation into Boeing's 737 MAX aircraft line. • Carbon Engineering, a Canadian direct air capture startup, raised US$68 million from such backers as Bill Gates, Murray Edwards, BHP, Chevron Technology Ventures, Oxy Low Carbon Ventures, Bethel Lands Corp., Carbon Order, First Round Capital, Lowercase Capital, Rusheen Capital Management, Starlight Ventures and Thomvest. Read more in Axios Generate. • Sierra Ventures is raising $175 million for its twelfth fund, per an SEC filing.